[News Focus] Who benefits from Seoul apartment application system? SEJONG -- Apartment prices in Seoul recorded an all-time high this year. Some complexes in southern districts saw prices shoot up 30 to 50 percent in only two or three years, which made ordinary households scrap their plans to purchase apartments in the capital. As housing lease prices in Seoul also skyrocketed, many Seoul citizens moved instead to satellite cities in Gyeonggi Province, according to data from real estate information providers. They suffer difficulties in commuting due to the long distances to their workplaces in central or southern Seoul and frequent traffic jams. Furthermore, if a household relocates outside Seoul, chances are low that it will be able to move back to Seoul. 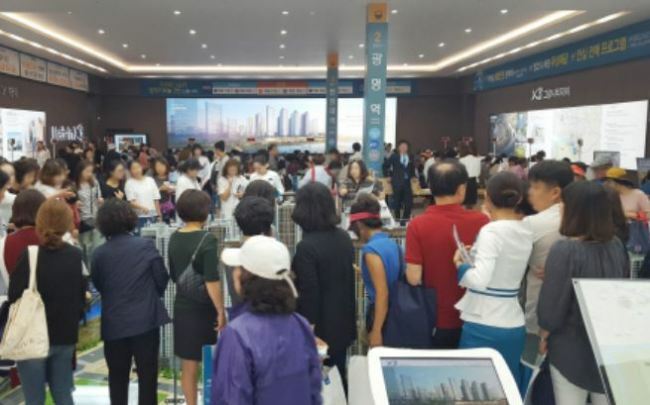 The odds are even lower when Gyeonggi Province residents try to buy new apartments via the state-led application system. Under rules that favor Seoul residents, applicants living outside of the capital city are classified as second-group candidates, which means they have a de facto zero chance of winning the score-based selection, amid high competition rates of at least about 20-40 to one household, and up to 70 to one in some districts. First-group candidates should have resided in Seoul for a year or more, with the Residents Registration Law proving the record. Even if a household has resided in Seoul for more than year via apartment lease, it would not be able to take out a mortgage loan if it owns an apartment in cities in Gyeonggi Province or other regions, under strict regulations handed down to all of the 25 wards in Seoul. 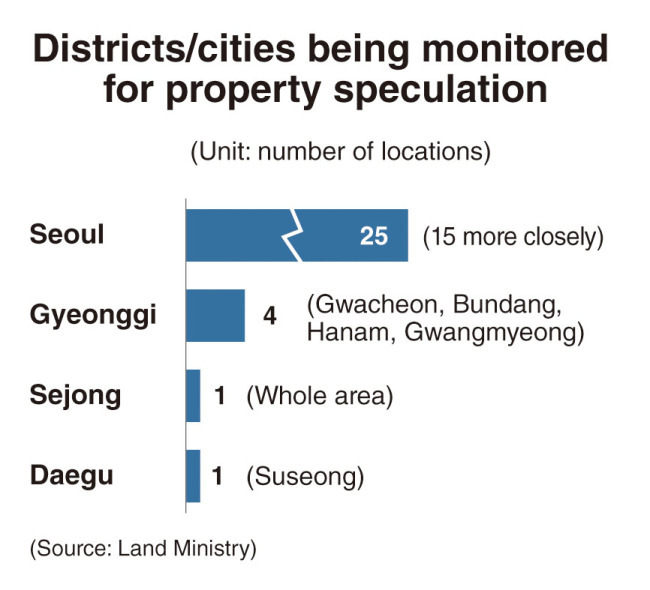 The Land Ministry designates 15 wards, including Gangnam, Seocho, Jongno, Nowon and Dongjak, as speculative areas. The other 10 wards, including Seodaemun, Seongbuk, Gangbuk, Jungnang and Dobong, have been named areas being watched by the state for possible speculation. He pointed out that even applicants who do not own homes are banned from taking housing-collateralized loans if they apply for an apartment with a parcel price that exceeds 900 million won. Nonetheless, he shared the view of some netizens, who claim that sons and daughters of wealthy citizens residing in Seoul benefit from the current system, as they have enough cash to satisfy parcel prices and are eligible to apply under the system. Shim also expressed skepticism over the third phase of new towns in four or five locations in Gyeonggi Province, which are to be designated by the Land Ministry. “It takes about seven years to foster new towns. And the towns located more than 40 minutes away by transportation would have not much impact on Seoul apartment prices,” he said. He added that he gave up moving to Seoul, where he was born and educated, due to the big price gap of about 500 million won for an apartment of the same size in the two neighboring cities.